The Affinity Diva Prima, with its rounded corners, sumptuous padding and cushioned arm rests, reaches new heights for features and client comfort. A major benefit of the Diva Prima is how low to the ground it will go. This makes it a superb choice for anyone treating clients with limited mobility. 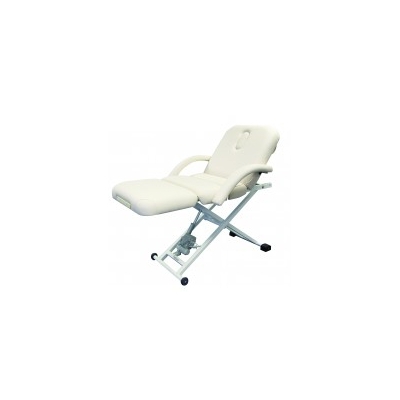 The height, lifting back rest and knee lift are all controlled by a simple hand controller giving the therapist exceptional levels of positioning. This couch is a great all-rounder and features in a number of hotels, spas, hospices and beauty houses. Available in white and biscuit. Contact Certikin for full product specification.